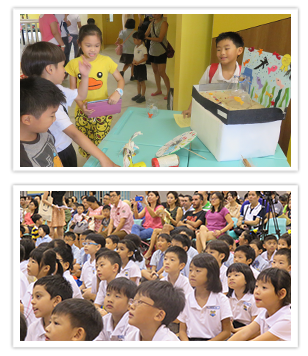 On 11 November 2014, all teaching staff worked closely together to provide a platform for our students to explore and have fun with Science. The concurrent sessions provided our students with hands-on sessions in a fun and safe environment where teachers were able to relay scientific principles and concepts in a simple and fun manner. It was amazing to observe that our students were engaged in thinking processes while having loads of fun. 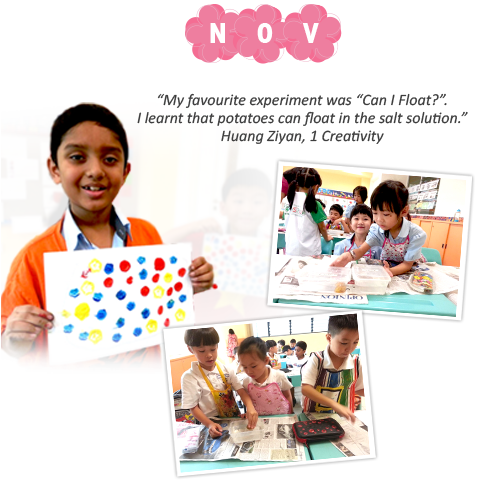 After the event, they were able to share what they had learnt with their parents and teachers. Every child in Alexandra Primary School was given a head start to knowing more about Science. 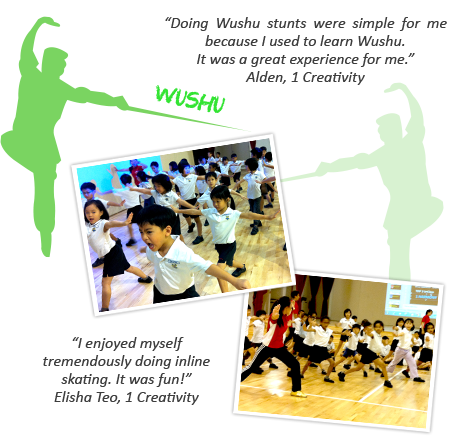 In the last week of school, the students were treated to 2 very different sports activities – wushu and inline skating. Wushu was held in the multi-purpose hall and we had a group of very experienced Chinese martial arts instructors from Hua Yi Xian Association to coach the students. They demonstrated a variety of styles as the students watched in awe. The children were then taught 3 different styles i.e. Chang quan (長拳 or Long Fist), Nan quan (南拳 or Southern Fist) and Ying zhao quan (鷹爪拳 or Eagle Claw Fist). They were able to execute all the steps and put it together in a routine. It was an interesting activity for most of them as it was the first time they experience martial arts of any form. Half of the cohort tried out inline skating in the first half of the day. The instructors and the teachers assisted the students in putting on the safety gear and the skates. Most of the students looked forward to trying out skating despite the high possibility of landing on their bottoms especially for first timers. The instructors taught the children the proper way of breaking their fall, how to maintain stability by staying on a spot and the basic way of skating forward. A handful of them already knew how to skate and they were able to move effortlessly up and down the parade square. Majority of the level had difficulty standing up and keeping their balance. In spite of this, the children provided feedback that they had a lot of fun trying out skating together and they wished for another session of it. 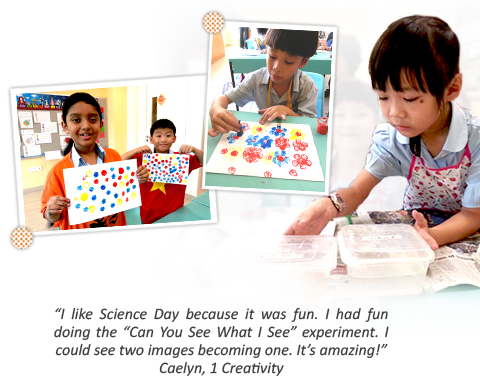 The teachers also felt that overall, the students had an enjoyable time and this activity showed that even for young children like them, they have the resilience to learn. Even after several tumbles, they would laugh about it, pick themselves up and try it all over again. Achievers’ Day is a day when the school and parents come together to recognise and celebrate our students’ achievements and character excellence. ALPS Holistic Award (AHA) was given out to students who have shown exemplary behaviours and have been role models for others. Students who had put in effort and have shown progress in their academic pursuit, and students who have achieved academic excellence were rewarded with a certificate and a medal. 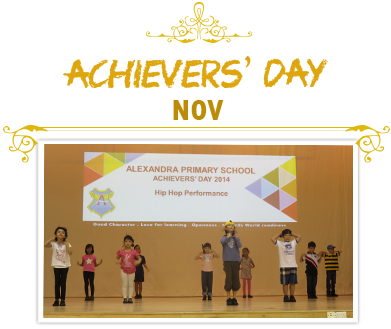 There were performances put up by our students to show case their talents and add on to the celebration mood. 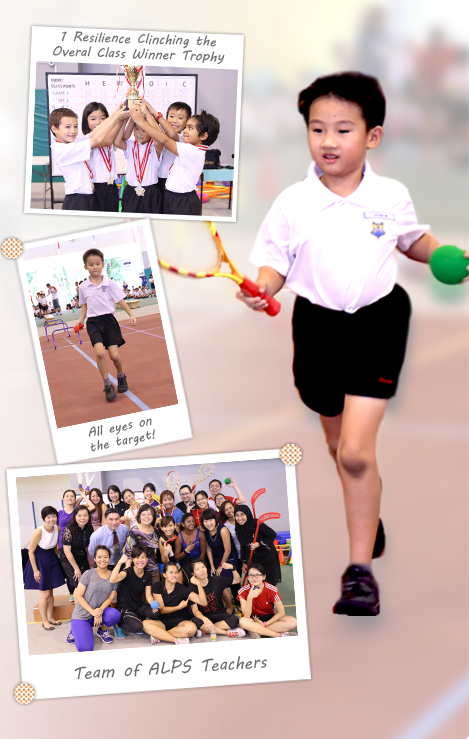 Our very first Sports Meet for our pioneer batch was held at the parade square and it consisted of a variety of inter-class obstacle race and individual/team events. Each event had a different set-up and required the students to display different sets of skills learnt in their PE curriculum. Four fastest runners were selected from each class to take part in either the 2 x 15 metres relay, 2 x 15 metres mixed hurdles or 30 metres individual sprint. This platform was created for our little athletes to have the opportunity to display their strength and agility in two fundamental movements, namely running and jumping. 1 Resilience’s sterling performance clinched them the overall class winner with a total of 290 points, followed by 1 Optimism with 240 points and 1 Creativity with 230 points. 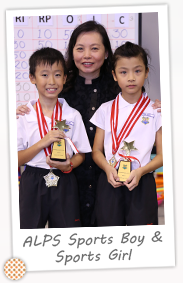 Angel Yang of 1 Integrity and Ng Jun Jie of 1 Resilience received the awards - 2014’s ALPS Sports Girl and Sports Boy. These two athletes always stretched themselves to the fullest and gave their best during their PE lessons. 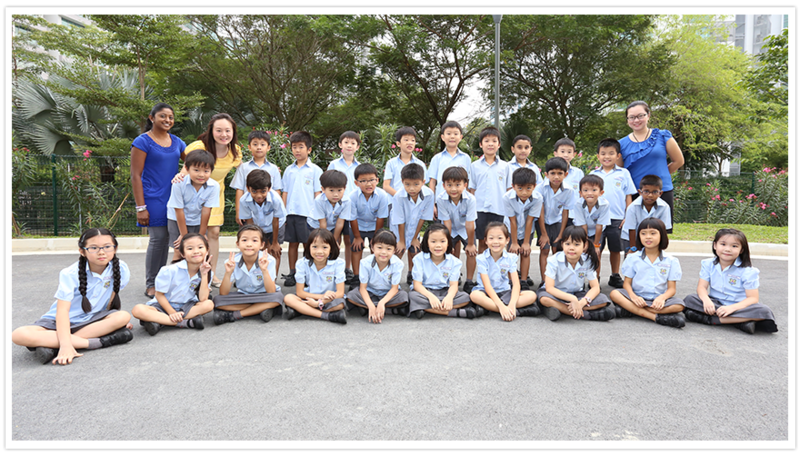 They also displayed sportsmanship and leadership qualities in class.